In this sequence of 5 lesson plans that are linked with the 5E model, students learn how to describe the physical characteristics of matter when it is affected by physical or chemical factors. Students participate in their own experiments and learn that science is about making predictions and then testing these by collecting data to interpret as evidence. There’s food involved too! What happens when you bake a cake? Have fun and please share! Changes to materials can be reversible or irreversible (ACSSU095). Investigating change of state caused by heating and cooling; Investigating irreversible changes such as rusting, burning, and cooking; describe what happens when materials mix; Explore how reversible materials can be used to recycle materials. With guidance, pose questions to clarify practical problems or inform a scientific investigation, and predict what the findings of an investigation might be (ACSIS232). Asking questions to understand the scope or nature of a problem and applying experience from previous investigations to predict the outcomes of investigations in new contexts. Construct and use a wide range of representations to represent and describe observations (ACSIS107). Compare data and use as evidence for explanations (ACSIS221). Exploring how different representations can be used to show different aspects and relationships, processes or trends. Use digital technologies to construct representations, including dynamic representations. Communicate ideas, explanations and processes in a variety of ways, including multi-modal texts (ACSIS110). Using a variety of communication modes, such as reports, explanations, and procedural accounts, to communicate science ideas. Using labelled diagrams, including cross-sectional representations, to communicate ideas and processes within multi-modal texts. Extensive class discussion is made and students are all given opportunity to input to a class mind map on the different states of matter and their characteristics. This task is intended to recall previous learning (Year 5, ACSSU077, ACARA, 2013). 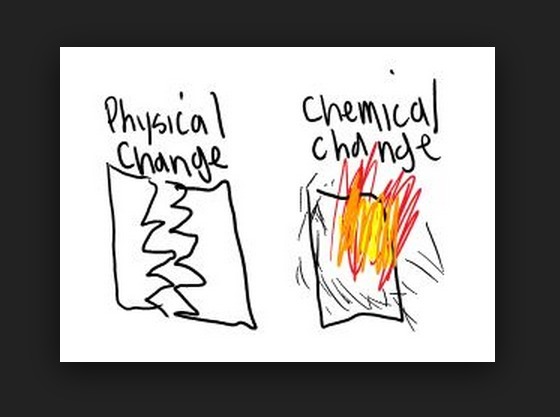 Emphasise that students’ current understanding of matter is probably limited to physical change. Teacher guides discussion to changes of state. A short demonstration is made about the new concept: some changes are physical others are chemical. (Choc pudding mix). Class discusses the process of the cake mix. The batter is liquid. What happens when it is baked? Students then conduct a questionnaire with each other. Students then make predictions of states of matter and their changes. Each student interviews one other. Students critique the given answer and make judgments or hypothesis of their own. Questionnaire is the first entry in the science journal created specifically for this unit. Students have the choice of making a digital journal or hardcopy journal. Students are given the opportunity to experiment with change of matter, both physical and chemical. Four workstations will be arranged in a wet area. Each station will have a simple experiment prepared for students to do. Two will demonstrate chemical change, and two will demonstrate physical change. Students will work through the experiments, using instructions provided. Students will work in groups of three (manager, director and speaker). Students are to choose a position not held within a group before. Collaboratively, they will record their observations in a table using excel. After this, students will discuss observations within their group and write an overall conclusion collaboratively for what was observed and what happened in each experiment. These will be presented to the class (by the speaker) at the next lesson. 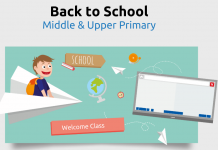 Begin with discussion on the application of chemical and physical changes in everyday life. Introduce students to the work of material scientists. Play quick game (link on class website) to demonstrate that new materials are constantly being produced. Chemical and physical changes are part of these processes. Students work in their groups of three to investigate the use of chemical changes and their application in everyday life by exploring the recycling process. Each group will choose one material (plastic, glass or paper) and research the origin, process, and end product using the links prepared on the class website. During the research, students will note the processes as dot points within their journals. Each group will then design a poster to illustrate the processes involved in recycling that material (heat, pressure, addition of materials…). Students will then devise a short slogan to emphasise the benefits of recycling. Encourage students to discuss their findings and the process of recycling with their group members. Open lesson with excerpts from video “tragedy in India” to share the importance of the understanding that scientists have of chemical reactions. Each student uses data collected throughout the 4 previous lessons (dot points, sketches, and all journal entries) to create a learning reflection page. In two or three paragraphs, students reflect on their learning. Students may choose to write a ‘draft’ and complete the final copy at home. Students should summarise what they have learned by writing a personal reflection on what was learned within this unit. This would include a summary and critique of the differences between chemical and physical changes (headings will be provided to ensure a comprehensive reflection of learning). Students should incorporate vocabulary learned throughout the unit. The journal entries should all be collated (include a scanned copy of lesson 4 poster). Next articleForces and the Properties of Materials – Yr 3/4 Teaching Ideas – 15 Lesson Plans That Will Engage Your Students!